Jane Pauley is an American journalist, television anchor, host as well as author. Check out this biography to know about her birthday, childhood, family life, achievements and fun facts about her. 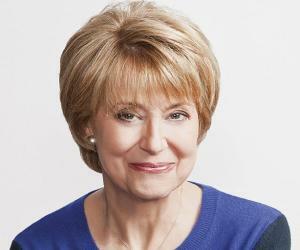 Jane Pauley is an American journalist, television anchor, host as well as author. She has been a household name in her country ever since she began co-hosting the ‘Today’ show on the network NBC. Pauley made her beginnings in television as an anchor in several major news networks of her home state of Indiana. Subsequently, she was chosen to co-host the ‘Today’ show on NBC in 1976. Soon after giving birth to twins in 1986, Pauley became a symbol to look up to for working mothers all over the country. 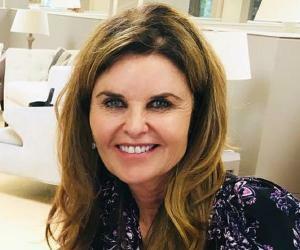 Pauley co-hosted the ‘Today’ show for 13 years before settling down and making the occasional appearance on television in order to spend more time with her growing family. Pauley then hosted ‘Changes’ a successful primetime series on NBC. She also went on to co-host the newsmagazine show ‘Dateline’ for almost 12 years. Pauley is currently the anchor of the CBS Sunday Morning show on the CBS network. She is a women’s rights and political activist. Pauley has instituted several health care centers for the underprivileged in her home state of Indiana. 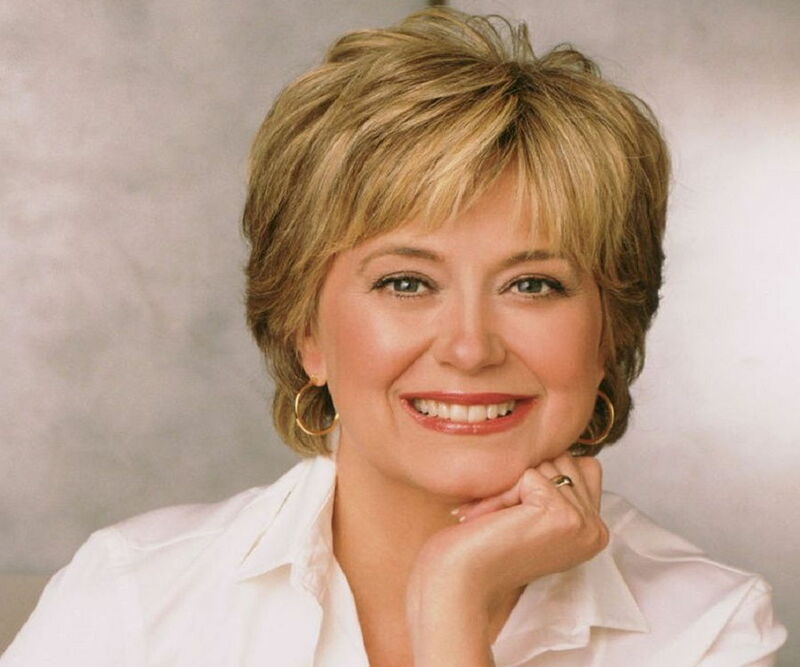 Jane Pauley was born on 31 October 1950 in Indianapolis, Indiana to Richard Pauley, a salesman who worked at the Wilson Milk Company, and Mary Pauley, a homemaker and part-time musician, who played the organ at church services every week. Jane Pauley has one older sister named Ann, who she looked up to as a kid and considers her closest companion. She graduated from Warren Central High School located in Indianapolis in 1968. She won numerous speech and debate championships during her time in school. Pauley then attended Indiana University where she majored in political science and was also a member of the ‘Kappa Kappa Gamma’ sorority. She got her first job as a reporter for the Indianapolis network station WISH-TV in 1972 after graduating from college. She then joined seasoned anchor Floyd Kalber at Chicago’s WMAQ-TV in 1975 after spending three years at WISH-TV. She became Chicago’s first woman anchor on an evening newscast. After hardly 10 months at WMAQ-TV, she was selected to take the place of Barbara Walters on the ‘Today’ show on NBC. Pauley was only 25 years old when she joined the ‘Today’ Show. Pauley’s first co-anchor at the Today Show was Tom Brokaw; he co-anchored the show from 1976 to December 1981. She was then joined by Bryant Gumbel from 4 January 1982. Pauley also happened to anchor the Sunday edition of ‘NBC Nightly News’ from 1980 to 1982. In 1983, Pauley became a symbol for working mothers after giving birth to twins. Her pregnancy was closely followed by the public and media. In 1989, speculations implying that newsreader Deborah Norville was to replace Pauley were on the rise after the former was given a larger part in the two-hour broadcasts. In October 1989, Jane Pauley announced that she would be leaving the Today show in order to spend more time with her three children. On 26 February 1990, it was reported in the New York Times that since 26 January, the Today show suffered a 10 percent loss in audience. It also fell to second place in the top network rating charts, coming behind ABC’s Good Morning America. Pauley’s absence was noted to be one of the most important factors in the show’s slump in ratings. In a 23 June 1990 article of the New York Magazine, it was reported that in the one-year period from February 1989 to February 1990, the Today show lost an estimated $10 million because of its 22% slump in ratings. The article was titled ‘Back From the Brink, Jane Pauley Has Become America’s Favorite Newswoman’. She received close to 4000 letters from her fans after her she announced she was quitting the Today show. One of these letters was from Michael Kinsley who referred to her as the ‘heroine of his generation’. Pauley received a lot of media attention soon after her announcement. Her image was featured on the cover of the December 1989 issue of Life magazine and the 23 July 1990 cover of New York Magazine which called her ‘The Loved One’. On 13 March 1990, she returned to the air on an NBC primetime special titled ‘Changes: Conversations with Jane Pauley’. In an article in The Washington Post dated 15 March 1990, it was reported that this primetime special acquired a 13.3 national Nielsen rating value as well as a 24 percent audience share. In 1990, along with Candice Bergen and Jay Leno, Pauley co-hosted the 42nd Primetime Emmy Awards. She also began serving as a substitute anchor for NBC Nightly News during this period. In the summer of 1990, after the success of her primetime special ‘Changes’, NBC announced five one-hour specials titled ‘Real Life with Jane Pauley’. These five shows also had excellent ratings leading to the launch of another half hour series with the same title from January 1991. This show was however canceled in October 1991, after airing for only one season. NBC launched its latest newsmagazine show Dateline on 31 March 1992. From 1992 to 2003, Pauley co-anchored the show long with Stone Phillips. 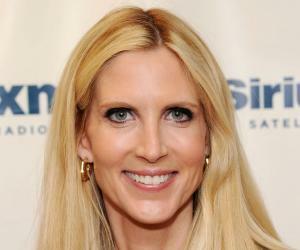 She also anchored ‘Time and Again’, a half hour show that aired on MSNBC during this period. In 2003, Pauley made the decision to not renegotiate her soon to expire contract. This decision took NBC by surprise. In 2004, Pauley made her return to television as the host of ‘The Jane Pauley Show’. The talk show was a syndicated series distributed to other networks by NBC Universal. Despite the show not doing very well and ultimately getting canceled after just one season, Pauley referred to it as the ‘proudest year of her life’. Subsequent to the cancellation of her show, Pauley made a number of television appearances including a half hour show on PBS titled ‘Depression: Out of the Shadows’. This show aired in May 2008. In 2008, Pauley also campaigned for President Obama in her home state of Indiana. Pauley made her return to the Today show in March 2009, hosting a weekly segment titled ‘Your Life Calling’. This led to Pauley releasing her second New York Times best-selling book ‘Your Life Calling: Reimagining the Rest of Your Life’. On 30 December 2013, Pauley along with her former Today show co-host Bryant Gumbel as well as former Today show anchor Matt Lauer and current weather anchor Al Roker reunited for a special reunion edition of the Today show. On 27 April 2014, Pauley began contributing to the CBS Sunday Morning show as a correspondent and substitute host after making an appearance in a segment called ‘where are they now’. On 25 September 2016, it was announced that Pauley would be taking over as host of the CBS Sunday Morning show. Pauley was to fill in for the retiring Charles Osgood. She began her duties as the host of the Sunday Morning show on 9 October 2016. She won the ‘Glamour Woman of the Year’ award in 1990. In 1998, Pauley was inducted into the Broadcast and Cable Hall of Fame. 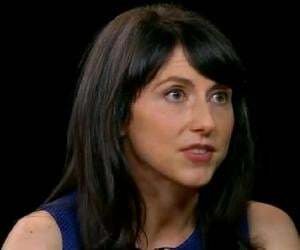 In 2002, she won a Primetime Emmy award for ‘Best Story in a Newsmagazine’ for her work on ‘Dateline’. In 2015, Pauley won a Daytime Emmy Award for ‘Outstanding Morning Program’ for her CBS News Sunday Morning show. She was awarded the Paul White Award for ‘Lifetime Contribution to Journalism’ by the Radio and Television News Directors Association. Pauley won the Edward R. Murrow Award for ‘Outstanding Achievement’ in the field of television journalism as well as the Walter Cronkite Award for ‘Excellence in Journalism’. She also won the Gracie Allen Award for ‘Outstanding Achievement by an Individual from American Women in Radio and Television’. On 14 June 1980, Pauley married Garry Trudeau who is a cartoonist and the creator of the comic strip ‘Doonesbury’. The couple has two sons, Ross and Thomas, and a daughter, Rachel. They also have two grandchildren. Jane Pauley is a member of the board of directors for New York City-based ‘Children’s Health Fund’ as well as the Indianapolis based ‘The Mind Trust’, a non-profit that funds educational innovation and reform. Pauley is a part of the Ambassadors Council for Freedom From Hunger, which is a non-profit organization that aims to mitigate extreme malnutrition around the world. She helped co-found the Jane Pauley Community Health Center in her home state of Indiana. The facility offers medical services to people of the local community without consideration of their income and insurance coverage.